We all love a clean house. Yes, we all! However, it is quite a challenge to maintain a clean house all year round to a standard where every part of the house is cleaned spotlessly. 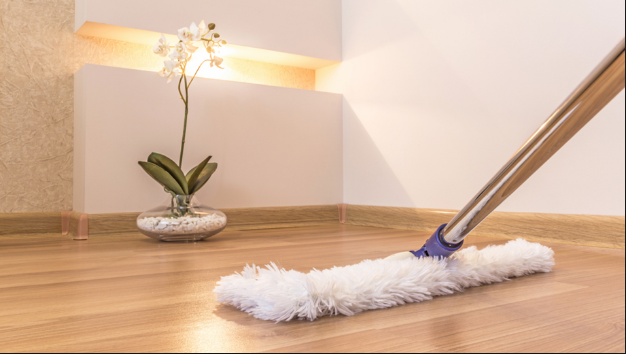 There is no doubt a clean house ensures a germ-free environment and one way to achieve this is, to either do it yourself or contract in professional house cleaning services to do it for you. The feeling you get when you walk into a clean house is one of peace and comfort. Going home at the end of a long day to a home that is neat and tidy will make it feel like a place of refuge. When your home is cluttered and messy it makes your life feel more chaotic and unorganized. It is important for you mentally as well as physically to have your house cleaned. A company who provides house cleaning can provide this service to you at a fair price and will always be available for your convenience. Increasing the longevity of your home and its fixtures and amenities comes from regular cleaning, upkeep and maintenance. Surfaces such as carpets and hard flooring especially need floor or carpet cleaning services or they will show wear and tear earlier on and need replacing sooner. Hiring professional house cleaners especially when your ability becomes short of cleaning your own house may cost some valuable cash, but in the long run, you will realize the benefit for all its worth. You may even devote your extra time relaxing or enjoying other things. This is important in ensuring that every part of your house receives the attention that it requires and in the end is left sparkling. You will find that some areas in the house are problematic for you simply because you do not use the right cleaning techniques for them. The house is made up of different surfaces and they all cannot use one technique of cleaning to achieve the desired results. With cleaning services, you won’t have to worry about getting it right.